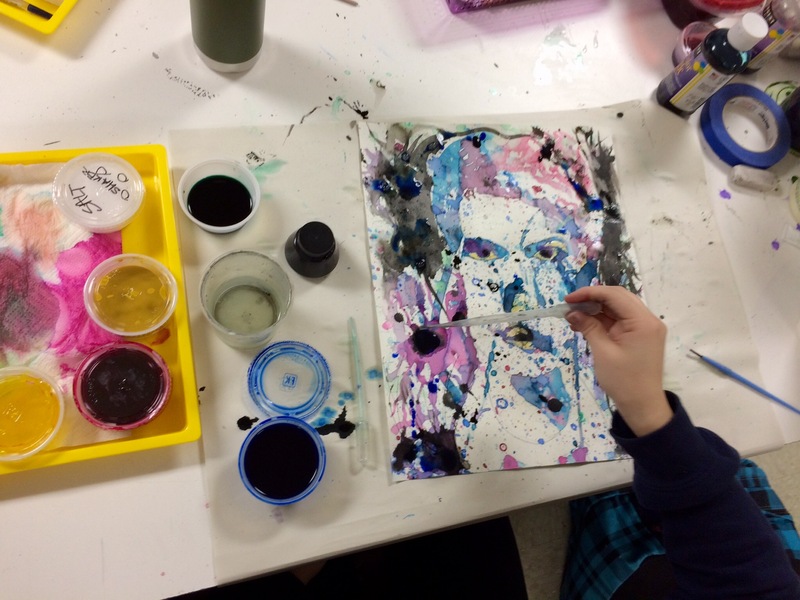 Are you or your students super tight when it comes to painting? I know I am!! 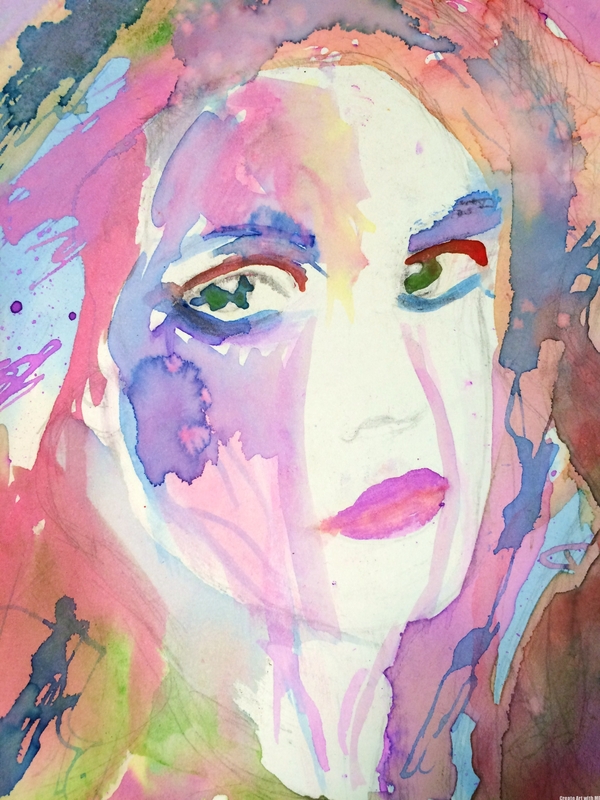 Trying to loosen up a “tight” painter is HARD to do-it takes practice, trial & error. 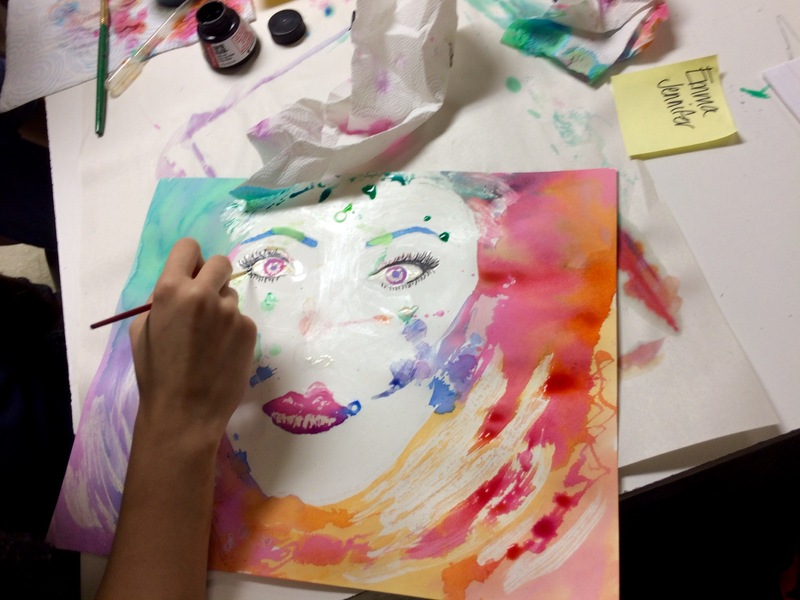 This HS art painting lesson is a great exercise in loosening up and letting go of control. 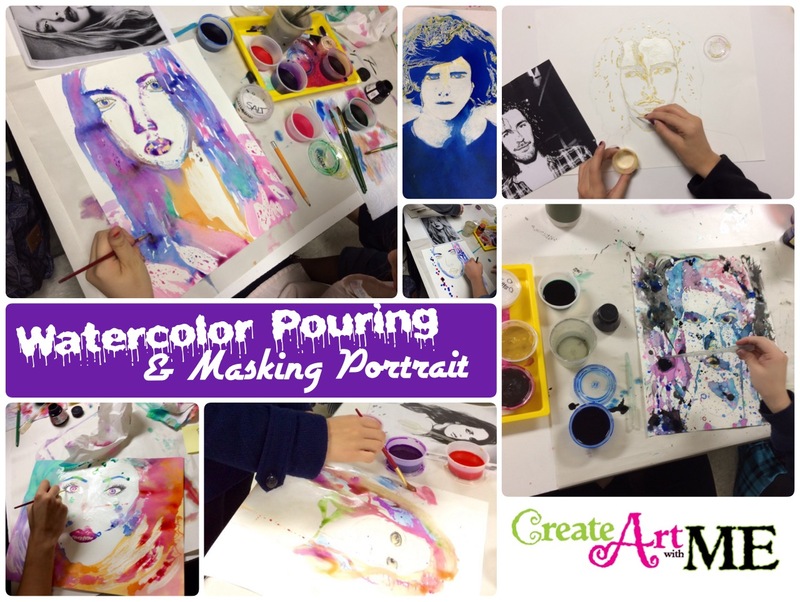 We learned how to draw correct adult facial proportions PRIOR to this project and then jumped into reviewing Positive & Negative Space and experimenting with watercolors (which was super FUN!). Overall Objectives: Students will review positive and negative space. The will use a photo editing program to transform a portrait to show high contrast values (black or white only). 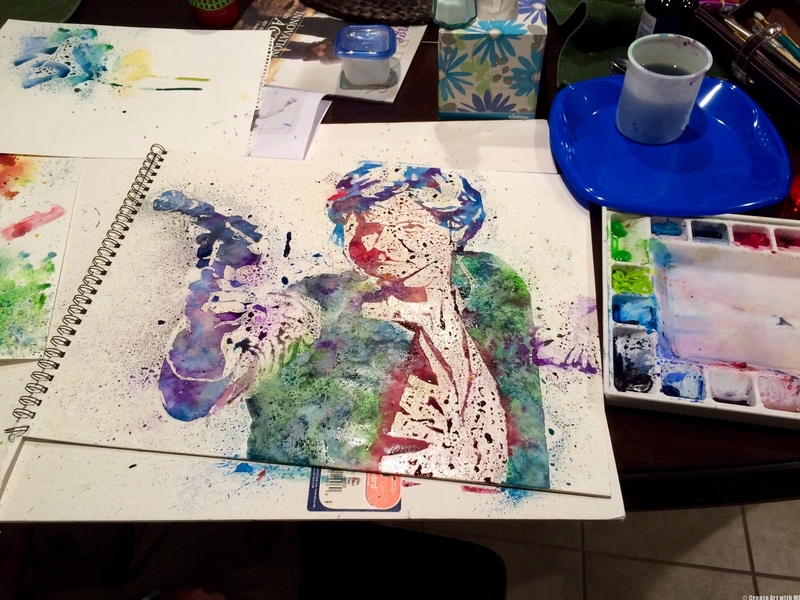 They will experiment with different watercolor techniques such as pouring, masking and splattering. Define Space-the element of art that refers to the emptiness or area above, below, between, within, and around objects. Show images with high contrast of values (black or white only). Turn a picture into a digital image (if photo is in print form-scan or take digital photo). Create an accurate drawing of a person (from shoulders up) from a frontal or 3-quarter view. The picture needs to show a high contrast of values (black or white only). Find a picture or take a picture of a person (from shoulders up) from a frontal or 3-quarter view. Turn to the picture into a digital image (if photo is in print form-scan or take digital photo of it). Use photo editing software to reduce the image to a black and white image (not gray-scale). 7. Adjust the Brightness & Contrast until you are happy with the image. Print out picture as an 8×10. 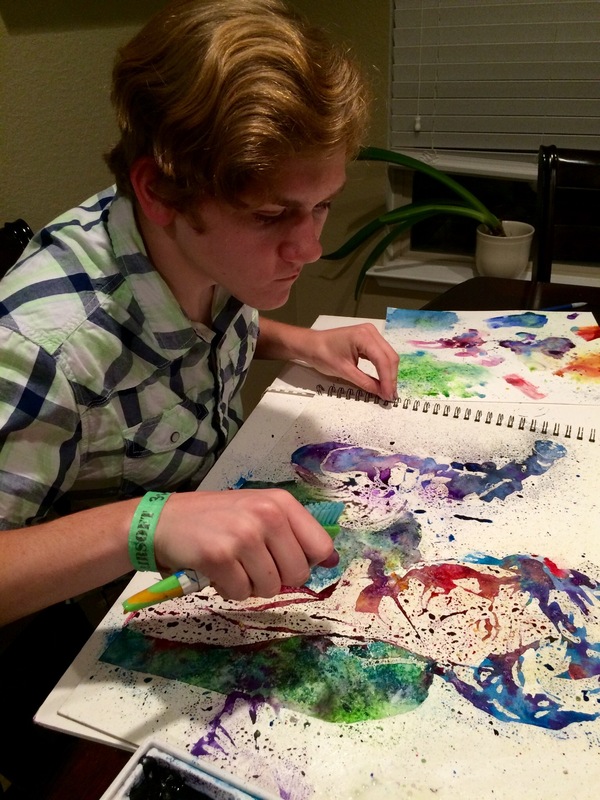 Objective: Students will experiment with pouring watercolors. They will play with what color combinations work best or create the look they are going for. Project Objective: Create an accurate portrait of a person from a frontal or three quarter view point. Exaggerate the positive and negative space by creating a high contrast image. 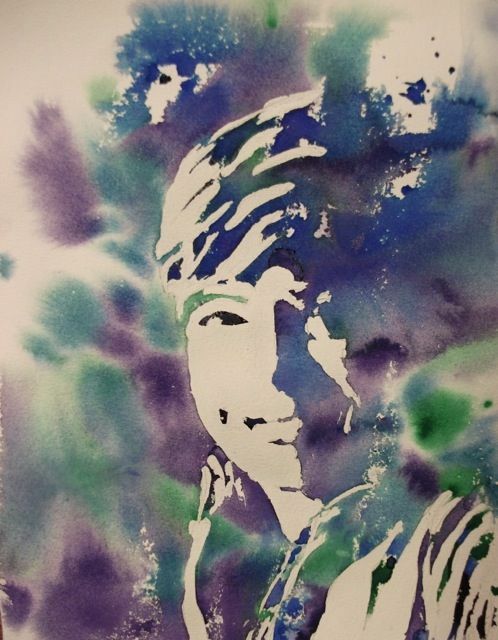 Use various watercolor techniques (masking fluid & rubber cement, pouring, salt, splatter) to color the portrait. Find an image of a person from a frontal or three quarter view point. Use photo editing app to exaggerate the positive and negative space by creating a high contrast image. Draw the image LARGE on the Watercolor Paper in pencil. 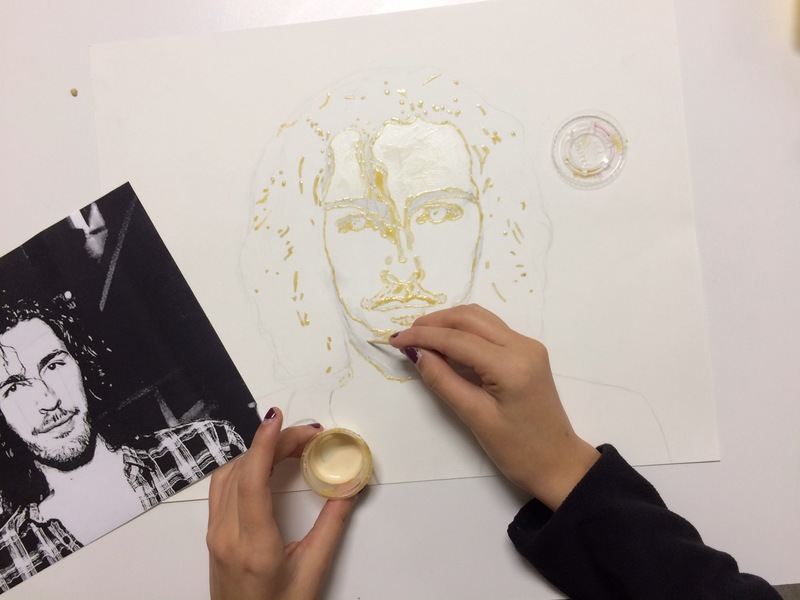 Finally, when it is completely dry, remove masking fluid. Optional: Use a paintbrush to define some areas. Add in some India Ink for interest (ex: eyes)-use this on a limited basis.